Al Khobar is a beautiful city in the Eastern Province of Saudi Arabia. Al Khobar is blessed with a seaside location and beachside Corniche, it is also the most organized and has the best pedestrian friendly walkways and streets. 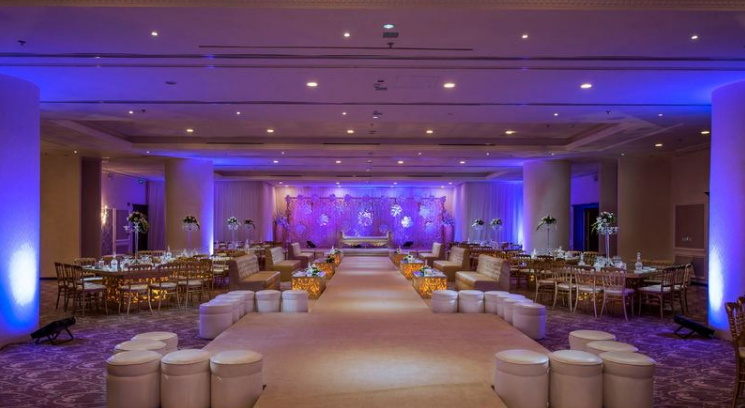 If you're getting married in Al Khobar, it will not be difficult for you to find the perfect wedding venue, as Al Khobar has many top hotels and resorts that have fabulous ballrooms for your wedding. If you're looking for hotels specifically located at the beachside click here to check them out! The hotel has The Clubhouse Banquet Hall perfect for large weddings, this spacious hall, located in the resort’s Clubhouse offers a relaxed ambiance enhanced with the lovely view of the lush greenery. 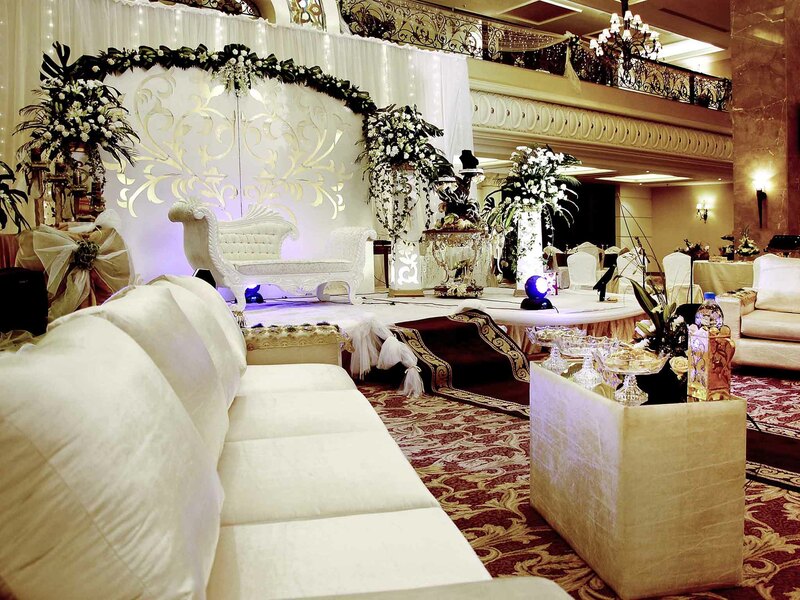 The hotel is known for Opera Wedding Hall, which is the ultimate choice for weddings and special events as it is the newest ballroom in the region and is characterized by rich and elegant decorations. 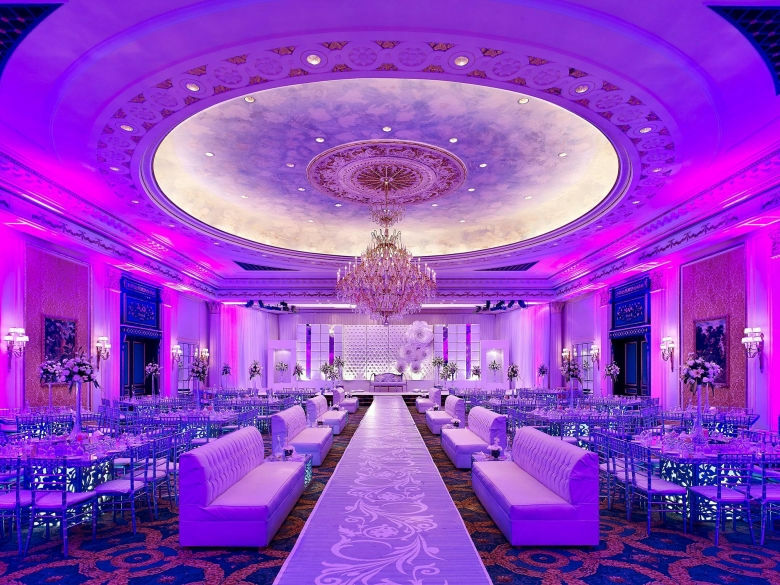 The hotel offers 1 large ballroom that can easily take up to 500 guests, with a highly trained team to serve and provide your guests with anything they need the hotel staff will make sure you have a legendary wedding. Le Méridien Al Khobar, only 15 minutes away for The Dhahran Exhibition centre, offers two ballrooms and breakout rooms accommodating 600 guests. The hotel takes a pride in providing you with the best venue for your events, the hotel offers a newly opened Banquet Hall. This hall is well equipped with all audio visual facilities, stage, podium, etc. 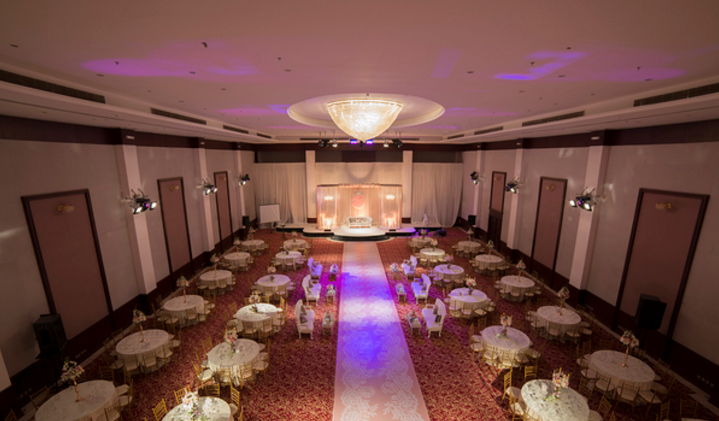 Sofitel Al Khobar has beautiful wedding and event venues, from intimate soirées to lavish banquets, you can hold a spectacular event for up to 300 in Paris ballroom one of the finest banqueting venues in Al Khobar. 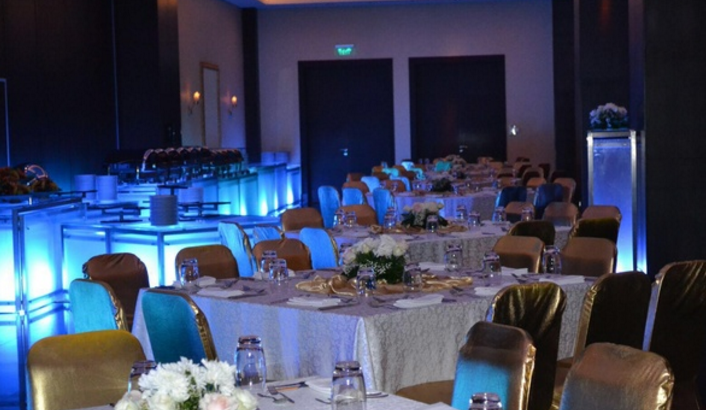 Coral Al Khobar Hotel is a 5 star well-equipped hotel centrally located in Eastern Province on the Arabian Gulf, The Sultana Ballroom can accommodate 800 people.